Hey, business leaders and supervisors, here’s a suggestion borne out by personal experience. If you habitually shy away from confrontation, try clarification! Ever notice how some workplace leaders and managers seem to afraid of confrontation? I know there were many times when I was. Back in my supervisory past I’m afraid I sometimes tended to shy away from confronting personnel problems, especially conflict between co-workers. I would make excuses, look the other way, or tell myself it wasn’t all that bad. For me, creative avoidance sometimes became a sort of hobby when it came to confrontation! Maybe this is the way you tend to handle conflict and confrontation.But avoiding workplace confrontation is dangerous! The longer some of these issues persist, the more corrosive and even destructive they can become, especially when your whole team is waiting for you, the boss, to do something about the situation. Best selling business author Patrick Lencioni in his wonderful book Five Dysfunctions of a Team identifies the failure to deal properly with conflict as one of the 5 Big Reasons why some organizations are habitually ineffective. Why do bosses avoid confrontation? Same reason most people do: we’re conditioned to steer clear of circumstances that are likely to generate unpleasantness. When you as the person in charge wade into a confrontational situation you are almost certain to cause sparks to fly. And here’s the big problem for us pleaser types: we want everybody to be happy and play nice, but confrontation virtually guarantees that somebody is going to get his or her nose out of joint. So when the choice comes down to fighting or flying, we too often choose flight. So next time you’re faced with the need to confront a situation in the workplace, try this: change your language. Instead of dwelling on the need for confrontation, focus your energies and your intellect on the more important and much more positive need for clarification. It will change the way you think and probably change the language you use. In fact, if my experience is any guide, it will change the entire process. This is important because the distinction between these two concepts is much more than merely semantic. The definition of “confrontation” includes the clashing of forces or ideas. No matter how you nuance it, “confrontation” implies a battle. But confrontation for its own sake was never the goal, right? 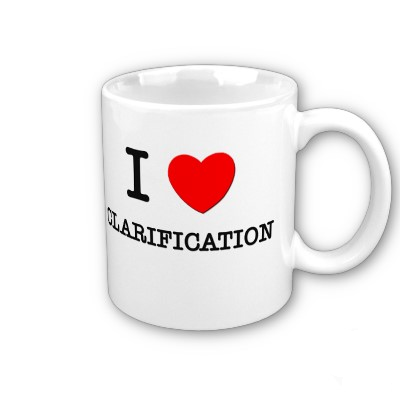 The real goal is “clarification” a word whose definition includes eliminating confusion and making things understandable. Isn’t that a big part of the leader’s job description — to clarify the causes of problems as a step toward solving them? Confrontation almost always sounds negative. Clarification almost always sounds positive. I’d love to be known as the boss who brings clarity and understanding to workplace relationships! One caution: even when you focus on clarification instead of confrontation, at the end of the day somebody will probably still end up irritated, angry or disappointed. That’s inevitable. But wouldn’t it be nice if that somebody weren’t always you?